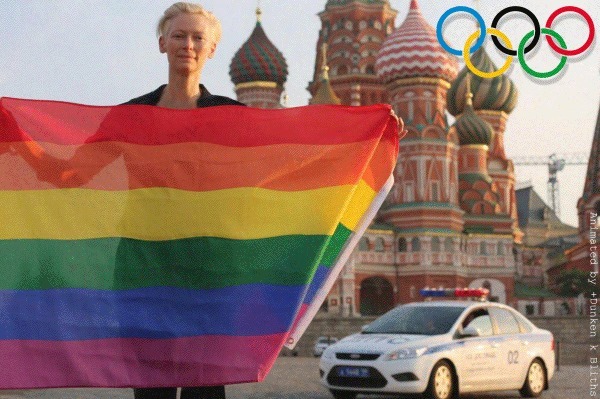 Tilda Swinton risked arrest waving a rainbow flag in front of the Kremlin in violation of Russia’s new homosexual propaganda bill. And she wants everyone who can to re-blog it in solidarity. ← Mia Kerick’s 5 star review of Fairy by Cody Kennedy! !